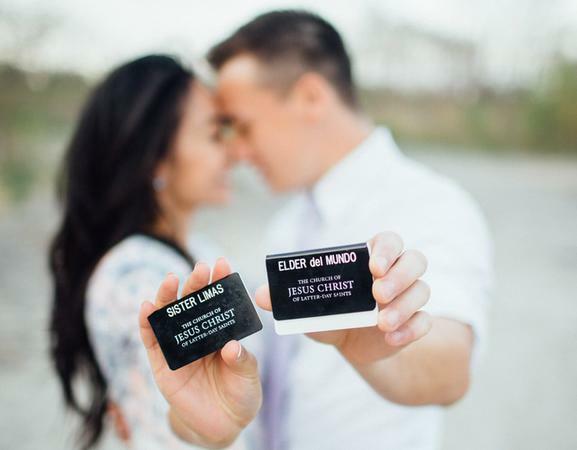 The day after he returned from his mission, Alex del Mundo sent a Facebook friend request to the woman who would become his future wife, all because he had seen her picture in a Mormon Newsroom article. Alex del Mundo of Ontario, Canada, served a mission for The Church of Jesus Christ of Latter-day Saints in the Philippines Iloilo Mission. On one of his preparation days, he checked the Mormon Newsroom Canada website to find out how the church was doing in his home country. He found an article about the Canadian response to the2012 missionary age change. As he read the article, he noticed a photo of Ariana Limas, now Ariana del Mundo. When he returned home, Alex del Mundo sent her a Facebook friend request. She had also recently returned home to Ontario after serving as a missionary in the Missouri St. Louis Mission. They wrote back and forth on Facebook and met a few days later at a local Filipino Christmas party. Hey! I know her! Ariana is a wonderful, fun, sweet woman. I felt privileged to get to know her while she was on her mission here in Missouri.